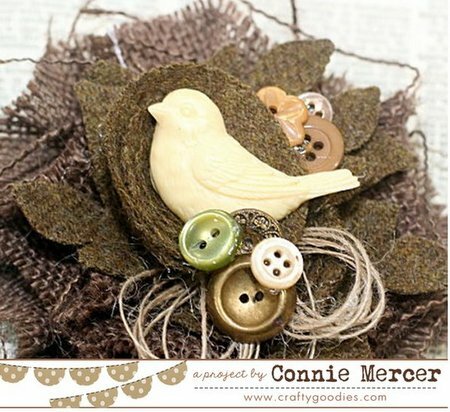 crafty goodies: Try It Tuesday~ creating with vintage wool! Hi guys~thanks for stopping in for Try It Tuesday. I wondered how the steel dies would cut the wool and it worked great. dropped right off the wool, a clean cut. 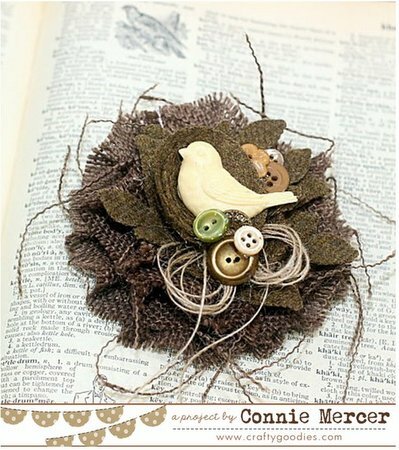 of the burlap flower, has a clasp to pin it to a jacket or sweater. 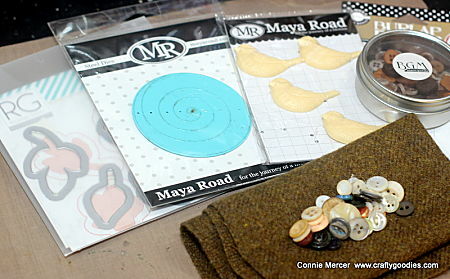 Very fun to put together and it will look great on my beige sweater. oooooooo Wow! This is beautiful!! You come up with the neatest stuff. Ohhhhhhhhhhh this looks AMAZING! I loveeeeeeeeeee it!!!!!!!!!!!!!!!!!!!!!! Oh my goodness connie I adore this! !